The Bitchin' Post: Fair Game? A recent segment on 60 Minutes put a spotlight on an interesting philosophical battle going on between two groups of people supposedly working for the same cause, the conservation of endangered species. The battle is over exotic animals and the battleground is in Texas. On the one side we have 5000 cattle ranchers raising endangered and exotic species. This group, represented by Charly Seale, executive director of the Exotic Wildlife Association of Texas, has been successful at increasing some exotic herds to the point where they are no longer endangered. In the opposite corner, but on the same side of the street supposedly, is the "Friends of Animals", an international animal rights organization led by Priscilla Feral. What the argument and seven-year legal battle is about is how these animals are being used by the ranchers. Here is the back story. Three species of African antelopes were in extreme danger of extinction in their own indigenous countries in Africa. Concerned American ranchers, at their own expense, offered to set aside grazing lands from their own property to try to save these species. They got breeding stock from American zoos, the last safe habitat for these rare animals, and hoped for the best. These ranchers just liked the look of a scimitar or African Giselle mingling with their herds of Texas longhorns. How would you like a rack like mine? Long story short, the animals thrived. In fact, some of the animals closest to extinction have come back from the brink in spectacular fashion. They've done so well the ranchers figured out a commercial use for these rare animals. Without these ranchers help the world may have lost some of the most beautiful animals on the planet left to extinction in their own home countries. 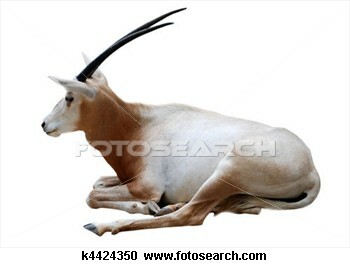 For example, the scimitar oryx once inhabited the whole of North Africa and roamed its plains in vast herds, but was declared extinct in the wild in 2000. So where is the controversy? Since the goal of conserving many endangered species from extinction has been a resounding success, why would an international animal rights organization be suing the pants off the ranchers doing the conserving? Well it turns out the problem rests with the word conservation. Over the years the ranchers realized there was a commercial value to raising endangered exotic animals; sport hunting. Rich trophy hunters from all over the globe for generations made treks to the African Safari to bag one of these rare animals… until the supply ran out. Now they take their safaris and spend their money in Texas. The money they spend, up to $50,000 for a water buffalo, goes to the ranchers who raise these animals and helps pay for their upkeep and protection. Raising stock for sale is what ranchers do. Instead of raising a cow worth $1000, they are now raising animals worth tens of thousands of dollars. Sounds like kudos go to the ranchers and American capitalism is in good working order! Would you pay $50,000 to save me? Not so fast. Remember Priscilla Feral from the international animal rights organization? Her idea of conservation of a species does not include the harvesting of a single one of them. In spite of the fact that some of these animals would have gone extinct already were not for zoos and the intervention of Texas ranchers, she feels using them for sport is wrong; morally, ethically, and legally wrong. The ranchers limit the amount of permits they sell to hunters to 10% of the herds for each of their exotic species, so as to assure a continuing growth in the herd population. They use the money they make for a good cause, rescuing nearly extinct animals from the dustbin of history, but apparently using an animal as a trophy is simply unacceptable to some people regardless of the successful outcomes from their conservation efforts. Only a hunter could love a face like hip’s. Nevertheless, it would appear the people suing the ranchers would rather a species go extinct than to see them being used like the cattle they are. They expect the ranchers to discontinue the very programs which support the whole conservation effort rather than to permit the harvesting of a few animals for the good of the herds. The sad part is they have already met with a measure of success. After a federal judge rejected a last-minute appeal by ranchers for an injunction in April 2011, hunters in Texas will no longer be able to hunt three endangered species of antelopes without a federal permit. Absent a financial reason for breeding these animals, ranchers will most certainly turn to other ways to earn their living. It is too bad that such an action will inevitably put these animals back on the road to extinction. These creatures have thrived in Texas, which has the largest population anywhere in the world of these three endangered antelopes. According to the Texas-based Exotic Wildlife Association, the scimitar-horned oryx’s numbers in a captive breeding program in Texas grew from 32 to more than 11,000 today. The dama gazelle, the rarest of these three, numbered only nine in 1979 but there are more than 800 today. Meanwhile there were only two addax known to exist in Texas in 1971, but there are more than 5,000 of them today. Those numbers scream conservation of the first order. Priscilla Feral’s “conservation” efforts are a cruel joke on our sensibilities. To suggest that the cows ranchers raised for hundreds of years are in some way suitable for slaughter while their prettier cousins aren’t is juvenile. To suggest that a zebra is something other than a horse with a fancy coat is beyond adult comprehension. 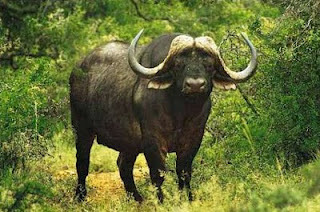 To suggest our American buffalos are suitable for hunting but an African buffalo should be off limits is beyond the pale. I’m just a horse like a Ferrari is just a car! In this case a misdirected “do-gooder” is doing unimaginable harm by taking the conservation efforts of our American ranchers and making those ranchers subject to federal regulation. John Stossel is apoplectic.